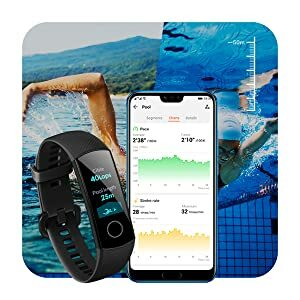 Honor Band 4 is a High-End AMOLED Full Color Display Smart Band with 50m Water Resistance, Full Screen Touch & Home Button Control. 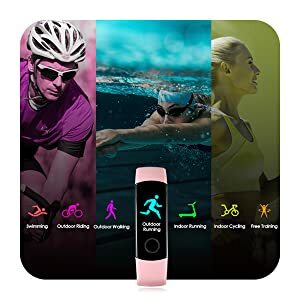 Integrating smart features such as Heart Rate Monitoring, Fitness & Swimming Monitoring, Sleep Monitoring and Smart Notifications & Message Reminders, it is the best device that helps users to understand & monitor their fitness and health status. You can download and install the Huawei Health-App. 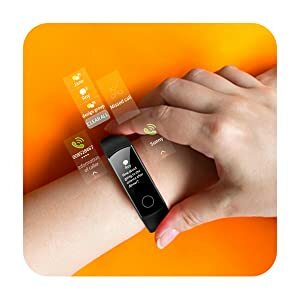 With this app, you can connect your band with your phone(Running Android 4.4 or later / iOS 9.0 or later) and better manage your band & fitness regime. You can also check your fitness and health data and get a better understanding of your physical conditions & fitness status. Featuring a full colour touchscreen display made entirely of 2.5D Glass, the HONOR Band 4 watch-face is sturdy and resistant to scratches. 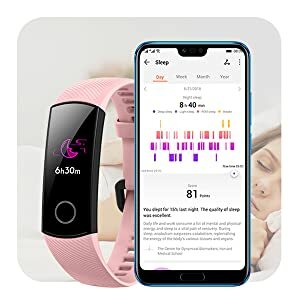 Validated by the Center for Dynamical Biomarkers (DBIOM) at BIDMC, a major teaching hospital of Harvard Medical School, Huawei TruSleep delivers comprehensive sleep tracking*. 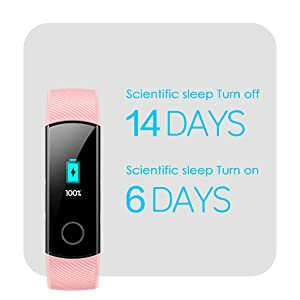 Its sleep monitoring technology is capable of identifying and providing advices on common sleeping issues, such as, insomnia, light and deep sleep, easily awakened, excessive dreaming, and irregular sleeping habits. *Center for Dynamical Biomarkers (DBIOM) at Harvard Medical School: Center for Dynamical Biomarkers, Beth Israel Deaconess Medical Center/Harvard Medical School. 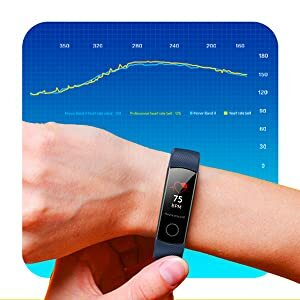 Get accurate 24 hours real-time heartrate monitoring and high heartrate alerts*. We use an infrared technology to detect your heartrate at night, so rest assured you can safely wear the band while sleeping. *This product is not a medical device. Exercise and health suggestions are only indicative. Worried about wearing the band while you’re washing your hands, swimming or caught in the rain*? 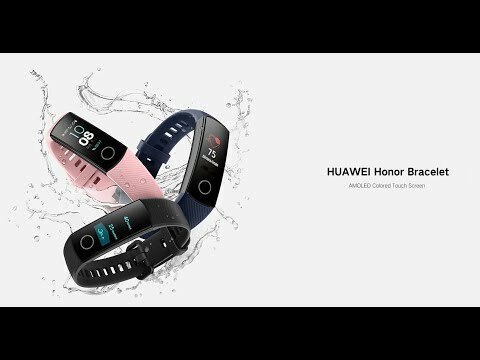 With the HONOR Band 4, you can finally feel at ease in these situations. The smart band can also automatically recognize swim strokes, record swimming speed, distance and calories, and determine average SWOLF. * HONOR Band 4 comes with up to 50 meter water-resistance rating under ISO standard 22810:2010. Explore a variety of workout types available: Swimming, outdoor walking, outdoor and indoor running, indoor and outdoor cycling*, free training and many others. *Only for Huawei/HONOR phones running EMUI 5.0 or later. Online number identification, incoming and reject calls and new messages notifications are just a few of the many useful features incorporated into the band with your daily needs in mind. Never be afraid of misplacing your phone again since you can now use the band to locate it. The band even transforms into a remote control* to take photos, especially selfies. It just keeps getting better! *Only available on Huawei/HONOR phones running EMUI 8.1 or later. HONOR Band 4 can last up to 17 days under normal use on a single charge*. *All data are generated based on tests conducted in the HONOR lab. The actual usage time may vary under different app settings and usage habits.